NATO has announced a full review of its cooperation with Russia try to pressure Moscow into backing down on Ukraine and said it would suspend planning for a joint mission linked to Syrian chemical weapons. 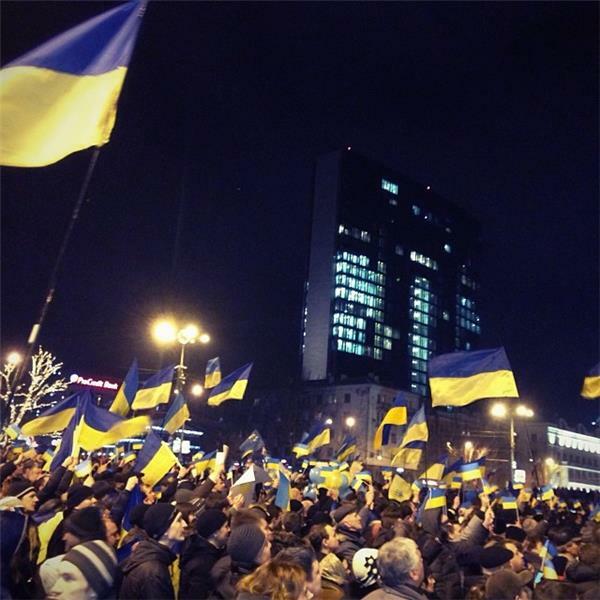 Protesters carrying Ukrainian flags demonstrate in the eastern Ukrainian city of Donetsk. 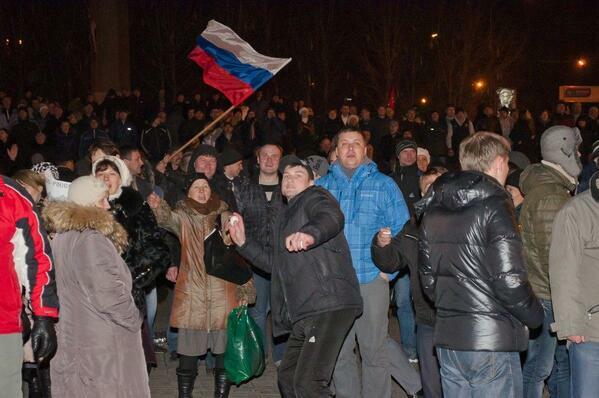 #Ukraine : violent clashes erupted during the rally in #Donetsk as pro- #Russian crowds started to attack demonstrators. 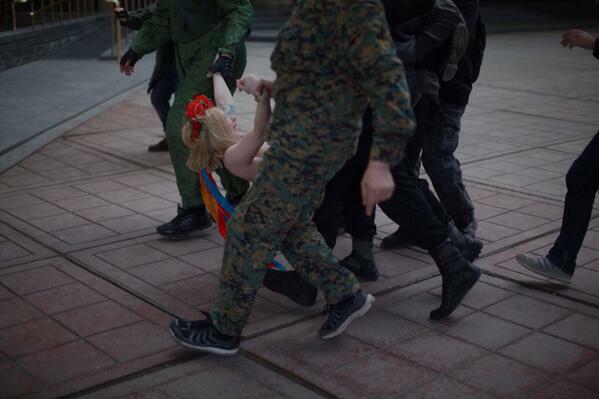 At least 15 people reportedly hurt in Donetsk as pro-Russian groups storm government building and clashed with pro-Ukraine demonstrators. #Ukraine : Only those who try to hide the truth have an interest to threaten @UN advisor #Serry and force him to leave #Crimea . Unacceptable! 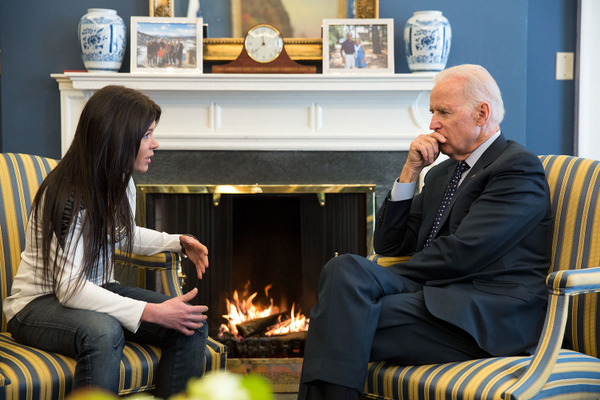 US Vice President Joe Biden meets Ukraine's singer-turned-activist Ruslana to discuss the crisis in her country. A US-based anchor for the Russia Today television network resigned live on air on Wednesday in protest at the deployment of Russia-backed forces in Ukraine. Liz Wahl said during a broadcast she could no longer work for a Moscow-funded network which she accused of "whitewashing" the actions of Russian leader Vladimir Putin. "My grandparents came here as refugees during the Hungarian revolution, ironically to escape the Soviet forces," she said. "Personally, I cannot be part of a network funded by the Russian government that whitewashes the actions of Putin. "I'm proud to be an American and believe in disseminating the truth, and that is why, after this newscast, I am resigning." The US State Department publishes a list of what it said were 10 of "false claims" Russia's President Vladimir Putin made about events in Ukraine. "The Facts: Strong evidence suggests that members of Russian security services are at the heart of the highly organized anti-Ukraine forces in Crimea. While these units wear uniforms without insignia, they drive vehicles with Russian military license plates and freely identify themselves as Russian security forces when asked by the international media and the Ukrainian military. Moreover, these individuals are armed with weapons not generally available to civilians." Ukraine's southern autonomous republic of Crimea, which refused to recognize the new central government in Kiev, announced on Wednesday that it would set up its own law enforcement and security agencies. "We are creating our own prosecutors' office, Interior Ministry and security service," the speaker of the region's parliament, Volodymyr Konstantynov, told Russia's RIA Novosti news agency. A day after she likened actions of Russia's president on Ukraine's Crimean peninsula to those of Adolf Hitler in the 1930s, former US Secretary of State Hillary Clinton said on Wednesday Vladimir Putin is a tough but thin-skinned leader who is squandering his country's potential. "I know we are dealing with a tough guy with a thin skin. I’ve had a lot of experience — well, not only with him but with people like that." On Wednesday RT anchor Liz Wahl resigned live on air. You can read about it here. It followed her fellow anchor Abby Martin winning plaudits for "going rogue" and condemning Russia's military intervention. But some are asking just how rogue she was: "Like Moscow’s citing its right to “protect” Russian minorities in Ukraine as a pretext for its occupation of Crimea, Martin’s act of pseudo-dissidence is a good old-fashioned false flag." Read more about Abby Martin, RT and the Kremlin here. New poll puts Putin's popularity at 2-year high: 67.8 percent. His Crimea/Ukraine policy going down well at home, so far. 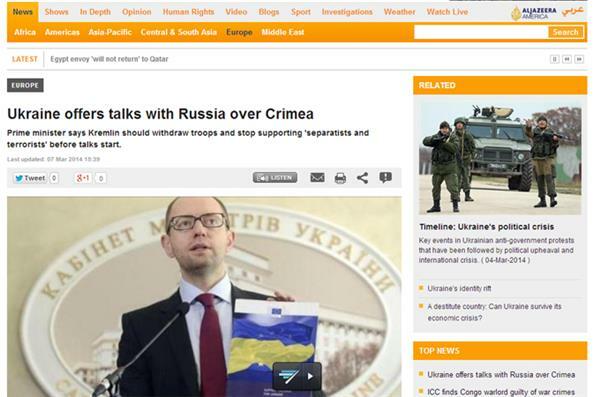 The authorities in Crimea are totally illegitimate, both the parliament and the government. They are forced to work under the barrel of a gun and all their decisions are dictated by fear and are illegal. 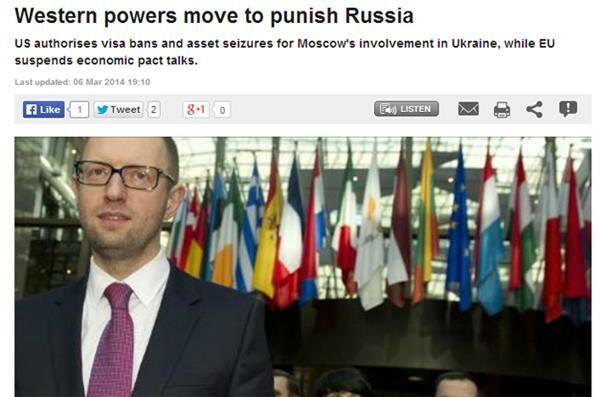 A spokeswoman quoted Ukraine's acting President Oleksander Turchinov as saying. The Crimean parliament in Ukraine has voted unanimously in favour of joining Russia, with officials asking Moscow to examine their request. Reports published on Thursday said that parliament had adopted a motion for the strategic peninsula to join the Russian Federation. To read Al Jazeera's full updated story click here. Al Jazeera has learned that pro-Russian demonstrators have now left the parliament building in the eastern Ukrainian city of Donetsk - and that the Ukrainian flag is once again flying over it. Overnight, pro-Russia protesters took over the building, and raised a Russian flag. More details to follow. The Crimean deputy prime minister, Rustam Temurgaliyev has declared that the decree making Crimea part of Russia is now in force. Temurgaliyev also declared that the Ukrainian armed forces in Crimea are now considered as forces of a third country, and will be considered "occupiers". The USS Truxtun, a US Navy guided-missile destroyer, is heading to the Black Sea for what the US military described as a "routine" deployment that was scheduled well before the crisis in Ukraine. The announcement came a day after the Pentagon unveiled plans to put more US fighter jets on a NATO air patrol mission in the Baltics, moving to reassure allies alarmed by Russia's effective seizure of the Ukrainian peninsula of Crimea. 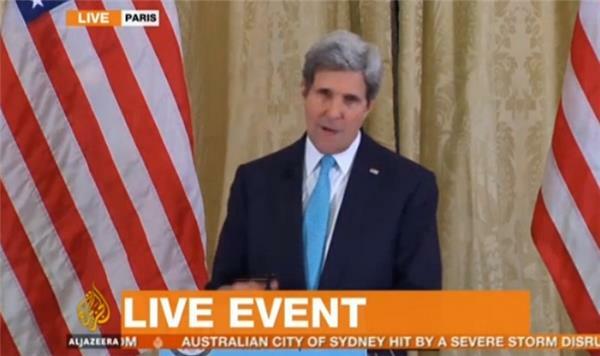 Both the US secretary of state and the US president are in the next few minutes due to speak on the Ukraine crisis. We'll be updating on their comments when they come. President Barack Obama warned that a referendum in Crimea on joining Russia would violate Ukraine's constitution and international law. The president spoke hours after the United States imposed visa bans on certain senior Russian officials and moved towards wider sanctions against individuals and entities in Moscow, to punish the Kremlin's incursion into Ukraine. The threat of tougher sanctions by the west against Russia has led to threats of retaliation from the Kremlin. There were tense scenes in Ukraine's eastern city of Donetsk as several dozen pro-Russia protesters were detained during a police operation to clear demonstrators from the regional administration centre. taken over by police on Thursday. 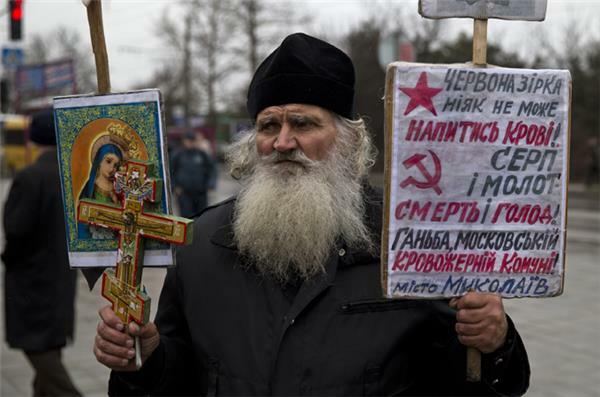 Protesters in the ethnic Russian stronghold demanded a referendum for greater autonomy in the region. Some called for union with Russia. General Sir Michael Jackson, former head of the British army, talks to Al Jazeera about the situation in Ukraine. In 1999 he took charge of the Kosovo Force - in the successful operation to end the ethnic cleansing of Albanians in the former Yugoslav republic. Jackson said that while the Ukraine crisis has some parallels with Kosovo, the situation in Crimea is comparable to the Russian aggression in Georgia in 2008. The US has authorised sanctions that include visa bans and the seizure of assets of Ukrainians and Russians involved in stoking Ukraine's ongoing crisis. Barack Obama, the US president, issued an executive order and declared a state of emergency on Thursday, calling Russia's involvement in Crimea an "extraordinary threat" to US national security and foreign policy. To view Al Jazeera's full story click here. "...today’s vote of the Crimean Parliament to join Russia and the decision to bring forward an unconstitutional referendum to 10 days time are serious steps in the wrong direction. The Ukrainian government has been clear that such a referendum would be illegal. And today European leaders have backed their position. Illegal actions committed by Russia cannot pass without a response. 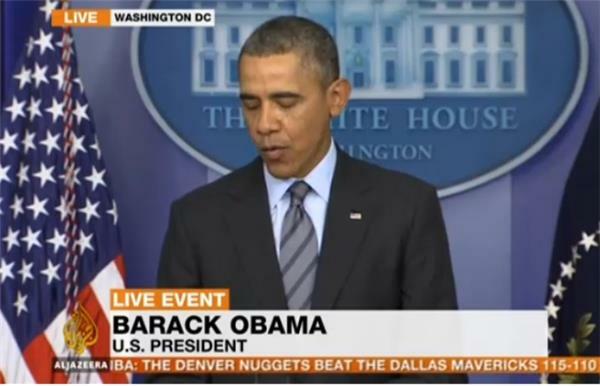 And I made very clear today that it cannot be business as usual with Russia." "The proposed referendum on the future of Crimea would violate the Ukrainian constitution and violate international law. And discussion about the future of Ukraine must include the legitimate government of Ukraine. In 2014, we are well beyond the days when borders can be redrawn over the heads of democratic leaders." Ukraine's border guards say 30,000 Russian troops are now on Ukrainian territory in Crimea, according to the country's Channel 5 TV. 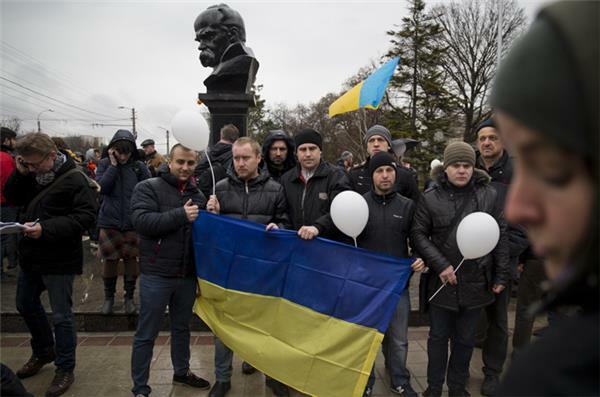 Ukrainians gathered in Simferopol on Friday to show their support for an undivided Ukraine. Military observers from the OSCE who were blocked from entering Crimea will make a second attempt to enter the Black Sea peninsula on Friday, a source travelling with them told AFP. The source would not specify exactly where or when the team of 40 observers from the Organisation for Security and Cooperation would make the attempt. There are only two main roads leading into Crimea from the rest of Ukraine, one crossing the narrow Isthmus of Perekop in the west and another eastern route on the Azov Sea. Near the village of Chonhar on the eastern route, AFP said about 10 armed men were manning a checkpoint on the road, flagging down and checking passing vehicles. The road was partially blocked by concrete slabs. The men wore military fatigues and balaclavas and were holding assault rifles. It was not clear who exactly they represented but Russian flags were flying over the checkpoint. More than 65,000 people waving Russian flags and banners attended a rally in central Moscow on Friday, in a show of solidarity with pro-Russian authorities in the Ukrainian region of Crimea, police said. The rally, titled "We are together", began with Russian pop star Oleg Gazmanov singing patriotic songs outside the walls of the Kremlin. The Crimean parliament speaker, Vladimir Konstantinov, who earlier met top politicians in Moscow, offered greetings "from Crimea" as he took to the stage amid cheers. 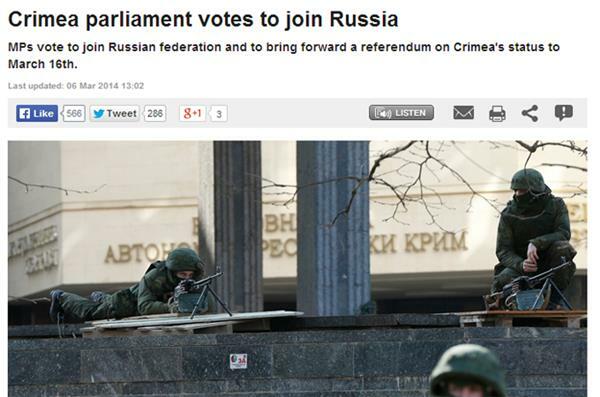 parliament to join Russia, a move they want voters to ratify in a March 16 referendum. "We know that Russia will never abandon us. 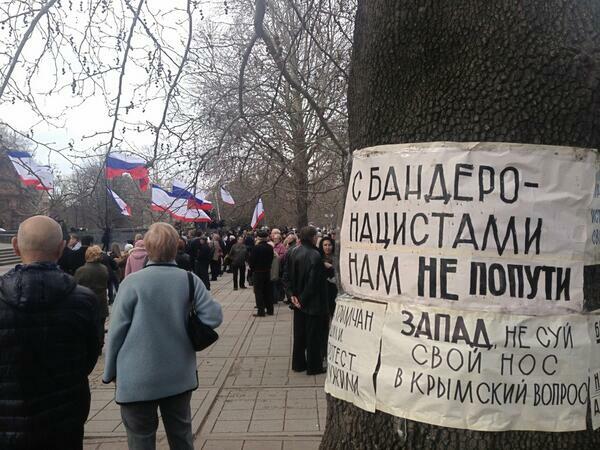 The Russian people will always be with us," the leather-jacketed politician said to applause and shouts of "Well done!" from the crowd. 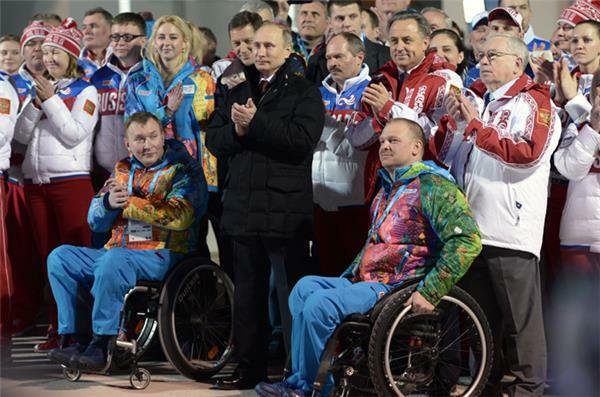 "I hope the Paralympics can cool a little the tensions surrounding Ukraine," Russian President Vladimir Putin told Philip Craven, president of the International Paralympic Committee, while giving him a tour of the Black Sea host city. Ukraine's team in Sochi announced that it was not going to boycott the event, but expressed clear displeasure at the situation in Crimea. The Sochi Paralympics will open later on Friday. 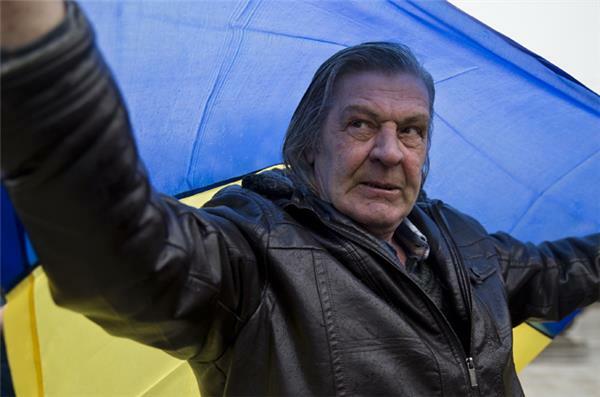 Here's the latest Ukraine story on our main site. Ukraine's PM has offered talks, with conditions. 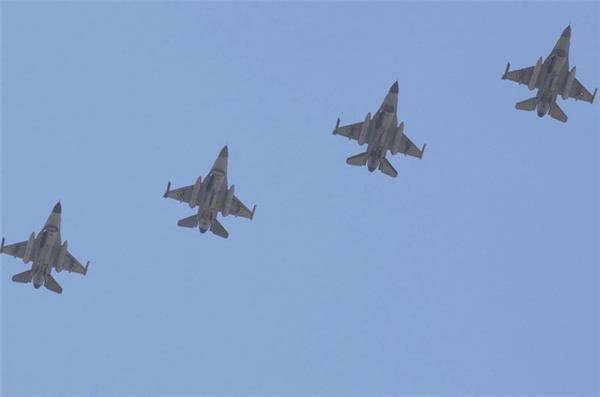 Turkey's Air Force has scrambled six F-16 fighter jets after a Russian surveillance plane flew parallel along its Black Sea coast, the country's military said. Thursday's incident is the second of its kind this week amid rising tensions between Russia and the West over Ukraine. The Russian plane remained in international airspace, according to a statement the military's website. Ukraine's Crimea peninsula, which juts into the north of the Black Sea, is at the centre of the current standoff between Russia and Ukraine's new pro-Western government. NATO member Turkey forms the southern coastline of the Black Sea. A US navy guided-missile destroyer, the USS Tuxton, also passed through Turkey's Bosphorus straits, bisecting Istanbul on its way to the Black Sea on Friday in what the US military called a "routine" deployment scheduled well before Ukraine's crisis. 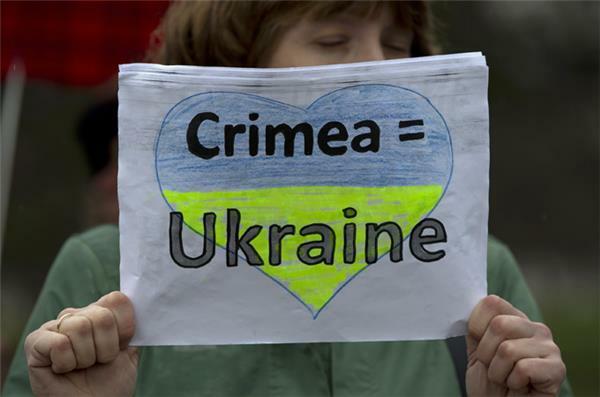 The United Nations voiced concern on Friday about plans by regional authorities in Crimea to hold a referendum on whether to secede from Ukraine and join Russia and warned against decisions being taken "in the heat of the moment". Here's a video posted on Youtube on March 6 of a ship scuttled by the Russian Black Sea Fleet at the mouth of a Crimean bay used by a Ukrainian navy base. The action effectively blocked vessels from accessing the Black Sea, according to reports. Armed men have taken over a Ukrainian military post in Crimea, according to a Reuters news agency reporter on the scene. 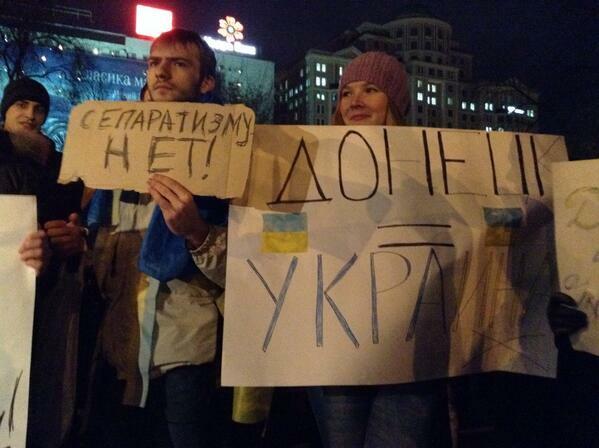 And Ukrainians and forces, thought to be Russian, are holding negotiations. A Ukrainian military official, Vladislav Seleznyov, told the Reuters news agency by telephone that armed men took over a Ukrainian base without firing bullets or causing injuries. Another Ukrainian official told Reuters that he was now mediating between the Ukrainian forces and the armed group inside, adding that no arms had been seized.